A recording of Michael's Long Black Wall is included on a wonderful new 2 CD set from Folkways Recordings, a unit of the Smithsonian Institution. 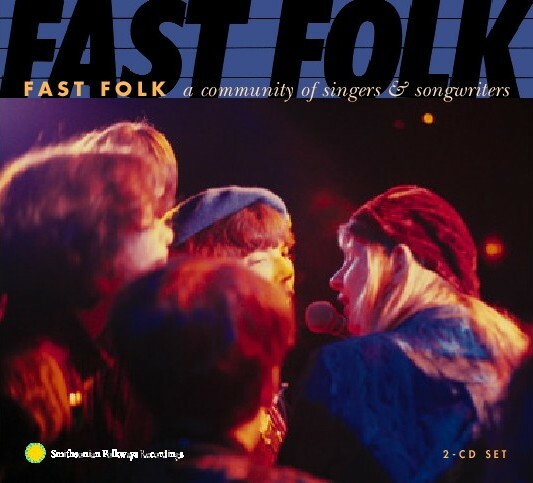 The CD collection is called Fast Folk: A Community Of Singers and Songwriters, and contains 34 recordings taken from the Fast Folk catalog. The CD will be released on February 26, 2002. This is a different recording from the one on Michael's Early Jerling album (clip from Early Jerling). The Fast Folk record label was the premiere ambassador of the Greenwich Village folk scene in the 1980s and '90s. It documented some of the most distinctive singer-songwriters of the past 20 years, including Shawn Colvin, Suzanne Vega, Steve Forbert, Christine Lavin, John Gorka, and Lucy Kaplansky - all of whom are represented here. 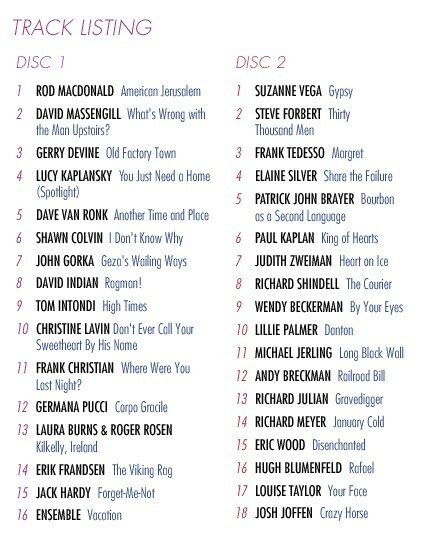 This double CD set comprises honest, intimate versions of their songs, available in retail stores for the first time. The entire Fast Folk catalogue was donated to Smithsonian Folkways Recordings in 1999. Fast Folk Magazine was first published in February 1982 by Jack Hardy. Its initial mission was to document the musical and political scene centered around Greenwich Village spots like the Folk City nightclub, the Cornelia Street Cafe, and the Speakeasy. Over the next two decades it would come to embody much more: a record label, a concert series, a touring live revue, and most importantly, a community. Many other major artists would be associated with this community at one time or another, including Bob Dylan, Tracy Chapman, Lyle Lovett, Pete Seeger, Michele Shocked, The Roches, and Richie Havens. This year is the 20th Anniversary of Fast Folk Music Magazine. To celebrate the 20th Anniversary, there will be a concert at the Bottom Line in New York City on February 23rd, 2002. So far, Jack Hardy, Tim Robinson, Jim Allen, Richard Meyer, Andy Germack, Frank Tedesso, Noam Weinstein, Ina May Wool, Noel Jones, Nikki Matheson, and Christine Lavin are scheduled to perform. Michael will be there too, but we don't know yet if he will be performing. Click here to visit Amazon for more information on the CD and a clip of the Fast Folk recording of Michael's song (disc 2, track 11). Or, click here to buy an MP3 of just Michael's song.